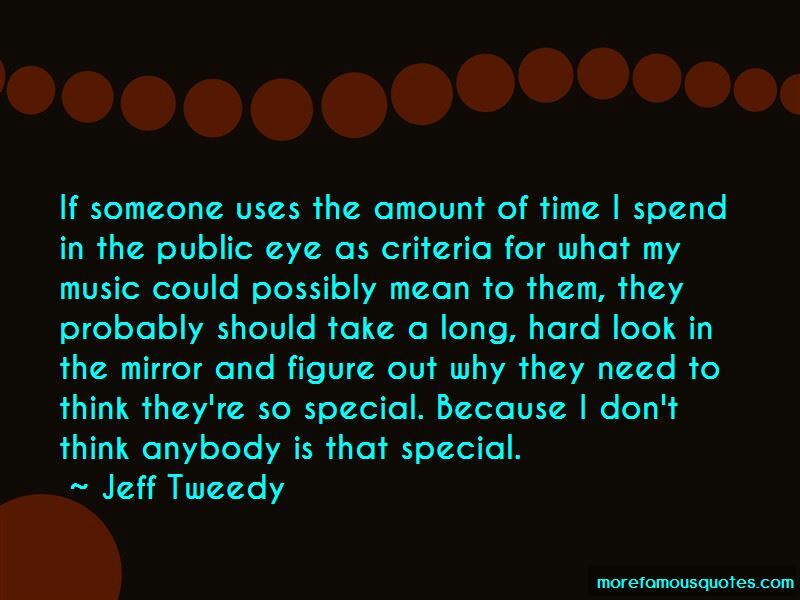 Enjoy the top 61 famous quotes, sayings and quotations by Jeff Tweedy. You have to learn how to die if you wanna be alive. I don't believe every download is a lost sale. 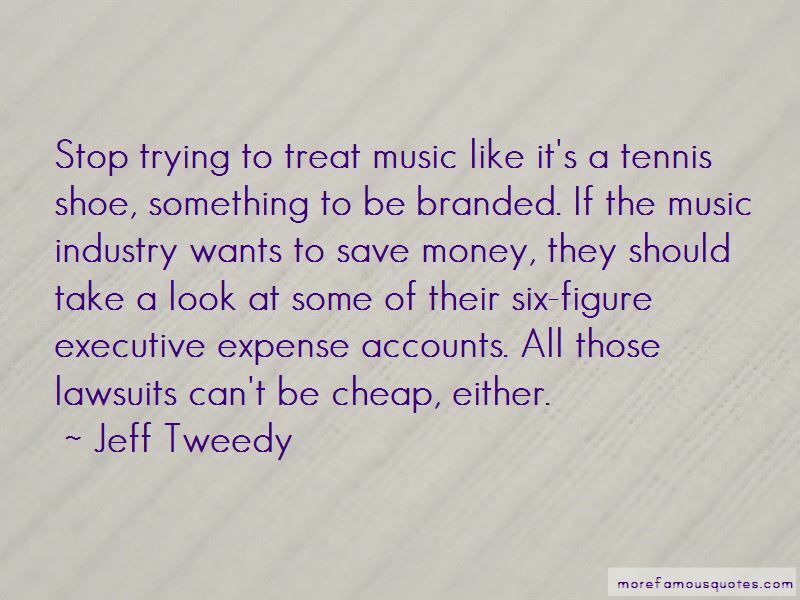 Stop trying to treat music like it's a tennis shoe, something to be branded. If the music industry wants to save money, they should take a look at some of their six-figure executive expense accounts. All those lawsuits can't be cheap, either. I like making songs up. Whether or not they're great songs or good songs, whatever. It's something I've always done, and I definitely feel like I've gotten better at it. Writing songs has always been hard and easy. It's not always easy when you want it to be, and then sometimes it's just like turning on the faucet. That's just the nature of it. I always think I don't have any songs, I don't have anything I'm working on, and I get in the studio and realize there are 20 things I'm thinking about. It's just kind of second nature. I don't think there is anything hard at all about having a lot of songs. It makes it easier to be less precious about them, and know that everybody's going to want to work on some of them. The main thing I learned is that the more I can forget about being embarrassed when I make something, the more it is going to mean something to somebody else. I can't anticipate what it's going to be or how it's going to be perceived, so the quicker I let go of something I make, the better. I always listen to records that I've been a part of with a grain of salt. I think the songs are more about relationships that are endless. I'm very, very suspicious of anybody that finds a belief system that they feel can explain it all, for themselves or for anybody else. I've never been healthier. I haven't had a cigarette in two years. I run four or five miles, four or five times a week. I've been healthy and having a really good time. I don't know if experimental is a word I would ever use comfortably. Once you're an addict, you're always an addict, so just because I found something good to do doesn't mean I'm not going to hurt myself doing it. Anybody who'd expend energy preventing people from hearing music seems not to understand the basic principal of making music in the first place. It's so antithetical to being a musician. 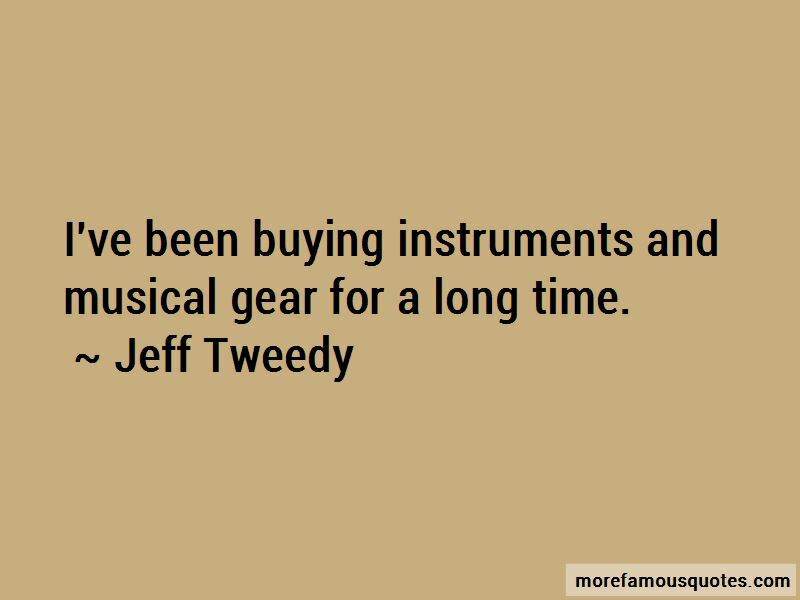 Want to see more pictures of Jeff Tweedy quotes? 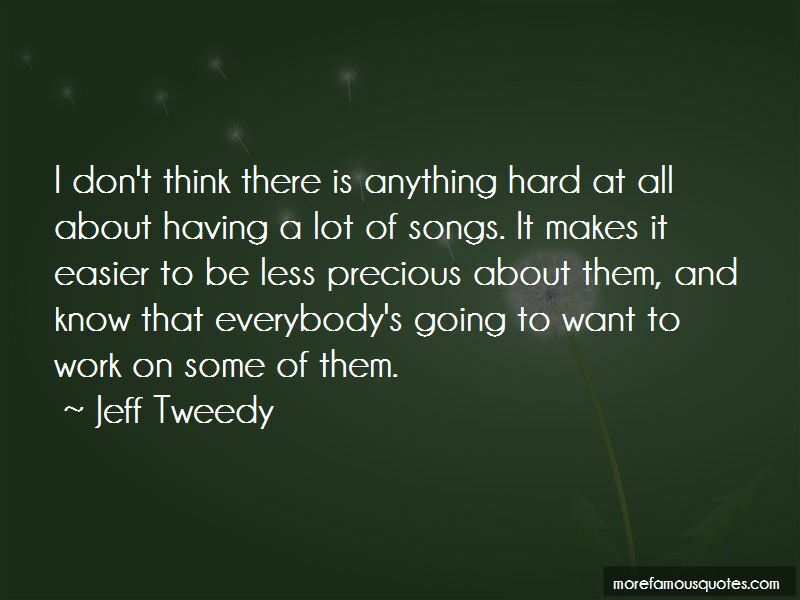 Click on image of Jeff Tweedy quotes to view full size.